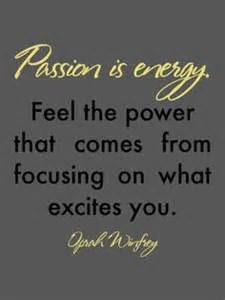 I've talked before about focusing on passion and purpose in a prior blog post titled "Passion? Purpose?" and I mentioned the lesson I learned is if I focus on my passion I'll find my purpose. Since writing that post, it's not that I haven't focused on my passion of helping others in their own health and fitness journey, but I just haven't been putting the effort to do something different besides writing this blog or waiting for someone to reach out to me. There is so much more that I can do, and that I want to do. Just recently I've been able to help a couple of our other FT clients, and one even lost 6 pounds her first week after I met with her. This is something that I love being able to do and want to be able to do even more. I was able to talk to Michael today about what I would like to do, and by the end of the conversation I was really excited about having specific goals to accomplish within the next 30 days in order to start focusing on my passion. Daily Thoughts - What Is A Mentor?